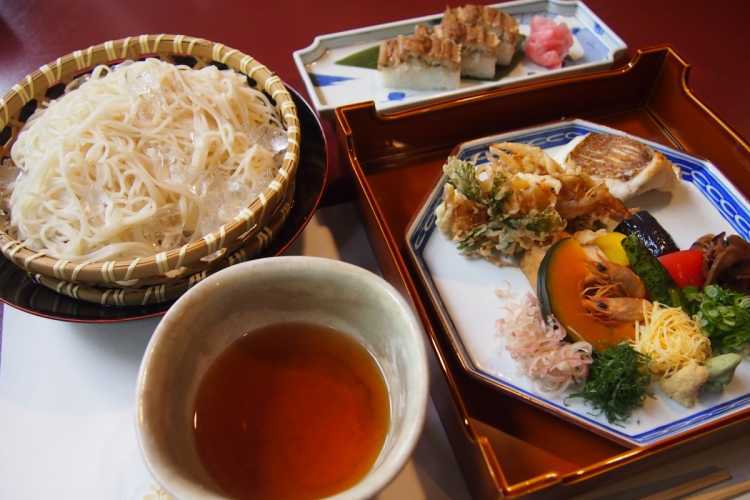 It is a local dish of Matuyama (it is the the Japanese thin noodle with sea bream). I flaked the sea bream grilled with salt and mixed the noodle with them and some spices in the soup. The light taste of noodle gose well with the salty taste of sea bream. And a local noodle 'Kumayama Somen' is used for the dish.